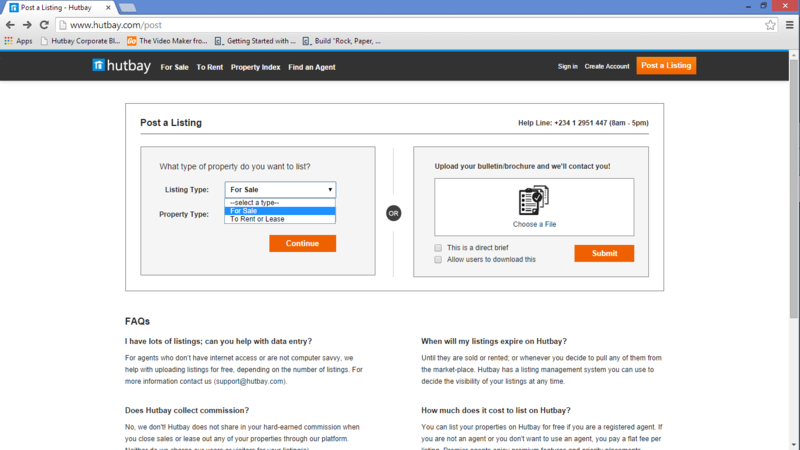 /Buyers, Sellers and Renters /How does hutbay get information about properties listed for sale or rent? / Your Listings /How can I post my listings on hutbay? After logging into your hutbay account, you click the post a listing tab which will take you to the posting page where you have the option of either sending your bulletin to hutbay or you post by yourself. 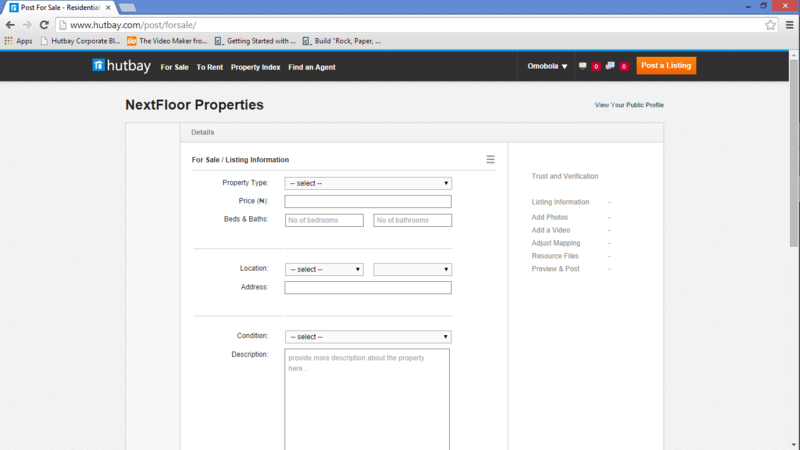 After selecting the main details of the property you want to list, click continue which will take to the listing page where you will be required to fill in the property’s information.